350 Dutch scientists and researchers have signed a letter backing the climate change movement led by students. Oceanologist and Professor Geert-Jan Brummer, who signed the letter, believed today's youth have the power to influence the European government. “The students see the urgency of this whole thing, actually for as much as I’m concerned, better than politicians,” he said speaking about the young activists. But academics aren't the only ones showing support for these climate change activists. With the European elections looming, some politicians are joining the movement as well. "I'm not accepting to be voiceless anymore and I think it's now up to us politicians to react on that," urged Swedish MEP Malin Bjork. Through their continued protests, these students are demanding to be heard despite the fact that many of them are not yet old enough to vote in the upcoming elections. 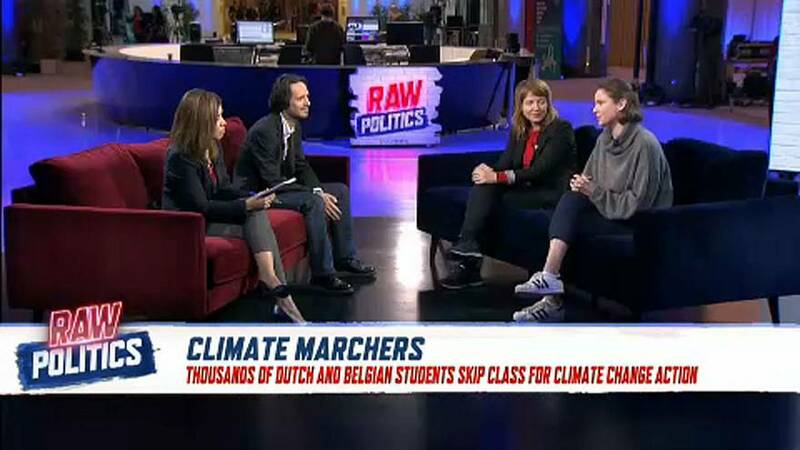 “We’re going to make a change whether you’re ready for it or not,” Belgian student activist Marial Leonidakis told Raw Politics.